In the sawing process, when the saw blade is subject to hard wood or frozen wood or wood with many nails, the blade will usually be damaged within 1 hour. In view of this circumstance, we set up technology development group and the new product is dinally achieved after many times of trial. This machine is used to weld saw blade with alloy so as to increase the hardness of saw blade. The saw blade with alloyed teeth and coordinated with this band saw machine will continue working for 2 days without changing of saw blade, this greatly saves labor & materials and finally increases productive efficiency. Some customers worry about high costs, but according to our rest, the costs of saw blade with alloyed teeth is of only 30 yuan/m. 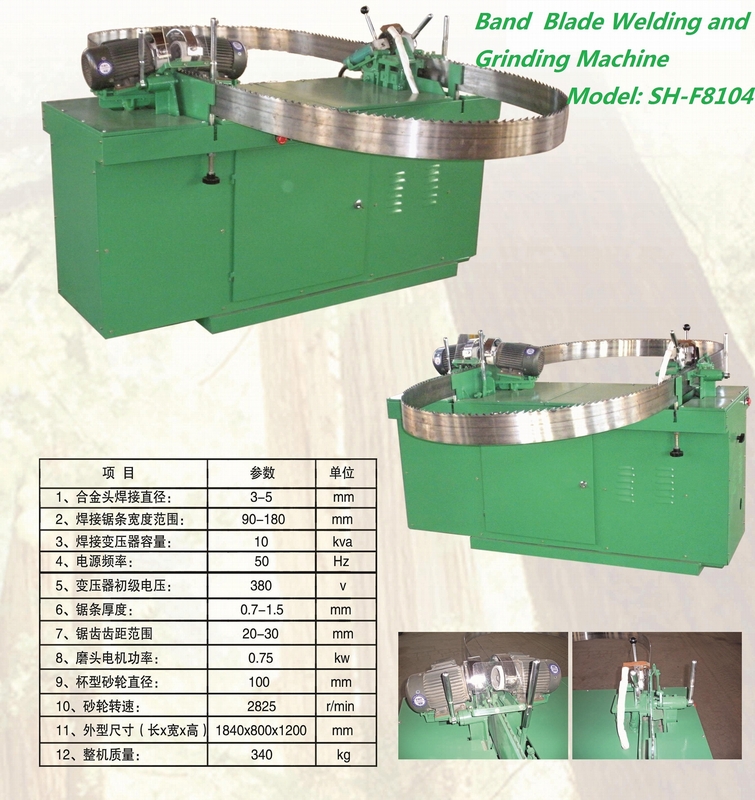 With this machine, you will have easy operation of saw blade with alloyed teeth. Now we undertake masive production and accept your order for goods.